A Blu Ray Disc Ripping App Tool is necessary for those who enjoy watching Blu Ray movies on own home theatre TV set, backup all newly-bought disc collections on PC or Macs, re-author or clone Blu Ray to blank DVD discs, kill time by focusing on a latest movie on the flight with iPad or other portable devices. To get a Blu Ray Ripper with good performance, I tried several smart apps. Among these ripping software, Pavtube app gives me a good impression. Pavtube BDMagic only takes around 1 or 2 minutes to install. During this short time, it is really regular, quick and fluent without any third-party plug in or ads displaying. Simple is the best. 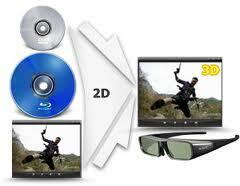 Blu Ray discs and DVD discs both contain the protection in various forms. Pavtube can bypass virtually any encryption including MKB level of AACS and BD+ protection. I tried AACS MKB v60 and the latest BD+. It indeed does. One point to remember, do not forget to get the network connection, otherwise, it won’t crack the copy-protection. This decrypting process happened in the background. It is so fast that you won’t recognize it’s removing the protection when loading Blu ray movies into the program. Blu Ray movies give M2TS in BDMV or BDAV structure. This makes it impossible to play raw HD files or watch Blu Ray films in iPad or other tablets of different brands. Most HD movie ripping tool can render H.264 or MPEG4 output with the extension MP4 including Pavtube. However, Pavtube gives me a surprise on ripping and conversion speed. Only around 40 minutes are taken for the whole Blu Ray converting MP4 process. Probably the key point is its inner fast processor. I think hardware acceleration is another important factor.This advanced tech allows running NVIDIA, CUDA, Intel and AMD graphics acceleration. This indeed helps a lot for improving processing speed. This is very fresh and interesting feature. Nearly no other similar tool own this splendid function. Pavtube does it. Pavtube even gives the control over the depth. In addition, this 3D converter offers different 3D modes including 3D red/cyan, 3D red/green, 3D red/blue, 3D blue/yellow, 3D interleaved or 3D side by side. Real 3D experience! For those who have had 3D device, Pavtube is the suitable choice. I sent emails to Pavtube support for several questions. Soon their reply arrived. It is within 24 hours. Good after-sale service indicates happy application using experience. Pavtube has a reliable after-sale product guarantee. Import multiple Blu Ray movies at a time. Easier and more accurate trimming compared with competition software. Save and tweak custom profile for future use. The Blu-ray Ripper is a nice choice for those who feel like to make converting of their Blu-rays. The software does one thing- converting the video clips from encrypted disc into a set of video files formats, preserving most information but not changing it in any way- and does it well. The ripping of Blu-ray took only fifteen minutes. 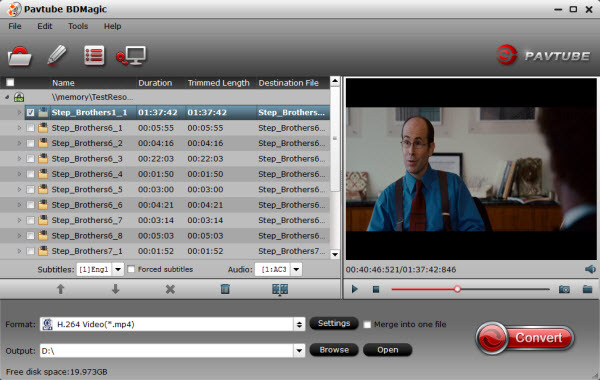 All video streams, audio tracks and subtitles are included in resulting video file. The 3D Blu-ray Ripper is a great Blu-ray to 3D SBS MP4 Converter that can convert any Blu-ray to 3D SBS MP4 video for you to view on various devices. Awesome software is my favourite. Thanks guys! This 3D Blu-ray Ripper Software is so powerful. I use it to import 3D MP4 video files to Gear VR. Then I could enjoy them with Samsung Galaxy Note 4.